[Beaumont, TX]— The National Endowment for the Arts is awarding the Symphony of Southeast Texas a $10,000 grant to support their October 6, 2018 POPS Series I concert, Ella and Louis, Great Friends, Great Music. Byron Stripling and Carmen Bradford’s chemistry will light up the stage as they take you on a journey through the most famous duets and solos recorded by two of jazz’s greatest legends, Louis Armstrong and Ella Fitzgerald. 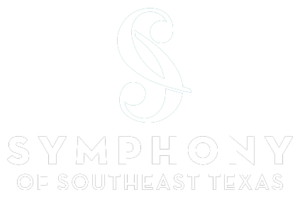 Embarking on its 66th season, the Symphony of Southeast Texas is a regional, professional orchestra based in Beaumont, Texas. The Symphony performs a number of subscription concerts, educational programs and other community concerts throughout Southeast Texas each year. SOST’s home base is the Julie Rogers Theatre in downtown Beaumont. The orchestra is composed of local musicians from the Beaumont vicinity, as well as many musicians from the Houston and Lake Charles areas. Selections from the upcoming season include: Rachmaninov-Symphony No. 2, Faure-Requiem, Ravel-Daphnis and Chloe Suite No. 2, and guest artists Claire Huangci and The Texas Tenors. For information on SOST’s concerts this season, please check our website at www.sost.org or call the Symphony Office at (409) 892-2257. Season tickets are still available.